Today we present you Skill Wave and Snow Roll, two Highscore games where you have a to beat the highscore. You can find both games on the iTunes App Store and for Android in the Google Play Store. Today, we want to introduce you both games a little closer. Snow Roll reminds you very hard to Flappy Bird by difficulty, while Skill Wave is an endless game, where you have to be extremely careful to get as far as possible. In this article we present you Skill Wave and Snow Roll. Both games are part of the arcade genre and highscore games. What exactly you have to do in these apps for iOS and Android, we explain briefly to you below. Skill Wave is a classic highscore game. But the controls here are a little different. So the ball moves always to the left side. By tapping on the screen, you can ensure that these moves to the right. On the way, however, many dangers lurk here. So there are moving objects, sharp prongs which block the way or only be brought in the correct position at first. This makes the whole game extremely difficult. On the way then items can be collected, which increase the score value or destroy objects. 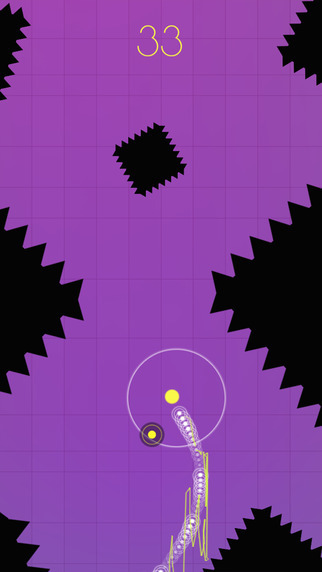 Skill Wave is free on the iTunes App Store or the Google Playstore. Snow Roll could be the new Flappy Bird, because this is so difficult to master, that you already want to despair. Thus, a little penguin is on a large snow globe and must drive through the area without any collision. The hard part: There is only one control: You only tap on the screen to change direction. In this way you move from corner to corner through the world. However, since such a snow globe is very sluggish, you can not even drive a straight line, which again complicates the whole game. On you’re way are trees, water and other obstacles that need to be avoided. 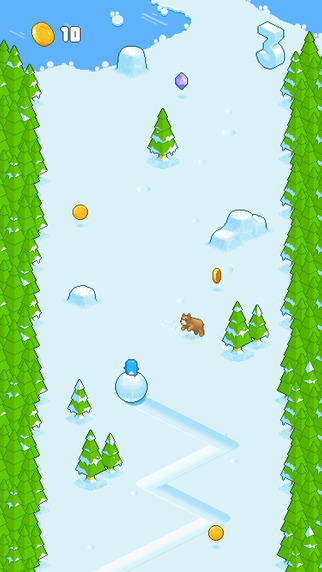 Snow Roll is free for iPhone, iPad and iPod touch and Android devices. Be the first to comment on "Skill Wave and Snow Roll: Two new Highscore Games"